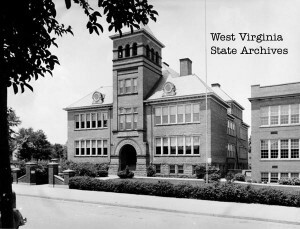 Buckhannon High School – Built 1908 and torn down in 1980s to make space for Buckhannon Intermediate School on College Avenue. Upshur County was created by an act of the Virginia General Assembly on March 26, 1851 from parts of Barbour, Lewis and Randolph counties. The county was named in honor of Abel Parker Upshur (1790-1843). Abel Parker Upshur was born on June 17, 1790 in Northampton County, Virginia. In 1807, he was expelled from the College of New Jersey (Princeton University) for participating in a student rebellion. He then entered Yale University. He left Yale before graduating and studied the law in Richmond under the tutelage of William West. In 1810, he was admitted to the bar in Richmond. He practiced law in Richmond for ten years before moving back to Northampton. He served as a member of the Virginia General Assembly (1812-1813, 1820-1826), a judge in Virginia General Court (1826-1841), and a member of the Virginia Constitutional Convention of 1829-1830. He was a staunch supporter of states’ rights and was pro-slavery. He later served as President John Tyler’s Secretary of the Navy (1841-1843) and Secretary of State (1843). He was accidentally killed on February 28, 1843 when a cannon exploded on board the steamer Princeton on the Potomac River near Mount Vernon, Virginia. Thomas Walker Gilmer, the Secretary of the Navy and namesake of Gilmer County, was also killed in the explosion. President Tyler was present, but survived the explosion. The first native settlers in central West Virginia (Braxton, Calhoun, Clay, Gilmer, Lewis, Nicholas, Roane, Upshur, and Webster counties) were the Mound Builders, also known as the Adena people. Remnants of their civilization have been found throughout northern West Virginia, with many artifacts found in the Northern Panhandle, especially in Marshall County. Several thousand Hurons occupied present-day West Virginia during the late 1500s and early 1600s. During the 1600s, the Iroquois Confederacy (then consisting of the Mohawk, Onondaga, Cayuga, Oneida, and Seneca tribes) drove the Hurons from the state and used it primarily as a hunting ground. During the early 1700s, the Shawnee, Mingo, Delaware, and other Indian tribes also used present-day West Virginia as a hunting ground. West Virginia’s Potomac Highlands was inhabited by the Tuscarora. They eventually migrated northward to New York and, in 1712, became the sixth nation to formally be admitted to the Iroquois Confederacy. The Cherokee Nation claimed southern West Virginia. In 1744, Virginia officials purchased the Iroquois title of ownership to West Virginia in the Treaty of Lancaster. The Delaware, Mingo, and Shawnee sided with the French during the French and Indian War (1755-1763). The Iroquois Confederacy officially remained neutral, but many in the Iroquois Confederacy allied with the French. When the French and Indian War was over, England’s King George III feared that more tension between Native Americans and settlers was inevitable. In an attempt to avert further bloodshed, he issued the Proclamation of 1763, prohibiting settlement west of the Allegheny Mountains. The Proclamation was, for the most part, ignored. During the summer of 1763, Ottawa Chief Pontiac led raids on key British forts in the Great Lakes region. Shawnee Chief Keigh-tugh-qua, also known as Cornstalk, led similar raids on western Virginia settlements. The uprisings ended on August 6, 1763 when British forces, under the command of Colonel Henry Bouquet, defeated Delaware and Shawnee forces at Bushy Run in western Pennsylvania. In 1768, the Iroquois Confederacy (often called the Six Nations) and the Cherokee signed the Treaty of Hard Labour and the Treaty of Fort Stanwix, relinquishing their claims on the territory between the Ohio River and the Alleghenies to the British. In April 1774, the Yellow Creek Massacre took place near Wheeling. Among the dead were Mingo Chief Logan’s brother and pregnant sister. Violence then escalated intoLord Dunmore’s War. On October 10, 1774, Colonel Andrew Lewis and approximately 800 men defeated 1,200 Indian warriors led by Shawnee Chief Cornstalk at the Battle of Point Pleasant, ending Lord Dunmore’s War. The Mingo and Shawnee allied with the British during the American Revolutionary War (1776-1783). One of the more notable battles occurred in 1777 when a war party of 350 Wyandot, Shawnee, and Mingo warriors, armed by the British, attacked Fort Henry, near present-day Wheeling. Nearly half of the Americans manning the fort were killed in the three-day assault. Following the war, the Mingo and Shawnee, once again allied with the losing side, returned to their homes in Ohio. As the number of settlers in the region grew, both the Mingo and the Shawnee move further inland, leaving western Virginia to the white settlers. Samuel and John Pringle were the first Englishmen to set foot in present-day Upshur County. They deserted their post at Fort Pitt (Pittsburgh) in 1761 and arrived in present-day Upshur County in 1762, during the final days of the French and Indian War. They lived in the county for about three years, just a short distance from present-day Buckhannon, along the Buckhannon River. Oral histories suggest that they lived for a time in the hallow stump of a giant sycamore tree. With their ammunition nearly exhausted, John Pringle returned to the South Branch River settlements for supplies around 1765. While there, he discovered that the war had ended and that they were no longer wanted men. He returned to Upshur County to inform his brother of the good news. They then moved back to the South Branch River settlements. In 1769, Samuel Pringle, his wife Charity (Cutright) Pringle, and several other families returned to the Buckhannon area. Among the new settlers were John and Elizabeth Jackson and their sons, George and Edward Jackson, Thomas Hughes, and John Cutright. The first school in present-day Upshur County was established in 1779. A Mr. Haddox taught class in a primitive long cabin two miles south of present-day Buckhannon. He was paid $16 per month and provided free board. When Harrison County was formed in 1784, it included present-day Upshur County. The first session of Harrison County’s court was held at George Jackson’s home near present-day Buckhannon. On September 3, 1804, John Jackson was appointed the first postmaster at the county’s first post office in Buckhannon. Although there was some support for the Confederate cause within the county, including the formation of the Upshur Grays, most of the county’s residents sided with the Union during the Civil War. In June and July 1861, Buckhannon became an important staging area for the Union Army both as it prepared for the important Battle of Philippi that took place on June 3, 1861 in Barbour County, and in its attempt to cut off the Confederate Army’s retreat following its defeat at Philippi. At any given time that summer, several thousand Union troops were camped in and around Buckhannon. For most the war, the Union Army maintained control of central West Virginia. However, there were many skirmishes in the region throughout the war. For example, in August and September 1862, approximately 550 Confederate troops under the command of General Albert G. Jenkins marched through central West Virginia, capturing several hundred prisoners, destroying Union supplies, and destroying public records. On August 30, 1862, his troops engaged about 200 Union troops commanded by a Captain Marsh on the outskirts of Buckhannon. The Union forces were routed (more than a dozen Union soldiers were killed during the battle and about twenty more were taken prisoner). Captain Marsh was among those taken prisoner. The Confederate troops then entered the city and, according to General Jenkins’s journal, destroyed everything of value. The following day, the Confederate troops left the town and headed for Weston. Confederate troops also recaptured the town on April 28, 1863. West Virginia Wesleyan College was founded in 1890 in downtown Buckhannon by the West Virginia Annual Conference of the Methodist Episcopal Church. Originally known as the West Virginia Conference Seminary, by the time of its first graduating class in 1905 it was called Wesleyan University of West Virginia. The name was changed to West Virginia Wesleyan College in 1906. 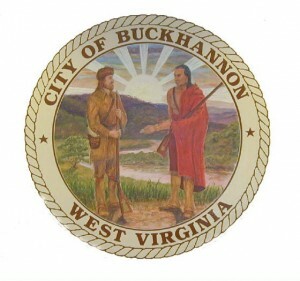 Buckhannon was established as a town, by the Virginia General Assembly on January 15, 1816. At that time, the land was owned by Robert Patton, Jr. He purchased the land from Elizabeth Cummins Jackson in 1809 for $3,000. Joseph Davis, Jacob Lorentz, Phillip Reger, John Jackson, Jr., John Reger, Benjamin Reeder, and John McWhorter were named trustees for the town. A few years later, Mr. Patton sold his lands to Joseph Ward, who in turn, in 1821, transferred it to Daniel Farnsworth, who came to Buckhannon from Staten Island, New York. In 1822, he constructed the first new home in the town following its establishment. There is some disagreement concerning the origin of the city’s name. Most accounts indicate that the city was named for a Delaware Indian chief named Buck-on-ge-ha-non who once hunted in the area. Other accounts suggest that it was named for the Buckhannon River which was named for John Buchannon, a clergyman who explored the area during the 1780s. The first session of the Upshur County court was held on June 17, 1851 at Andrew Poundstone’s home in Buckhannon. Adam Spitler, Simon Rohrbough, George Bastable, James T. Hardman, Jacob Lorentz, Daniel Bennett, K Hopkins, George Clark and John W. Marple served as Justices of the Peace. Mifflin Lorentz was elected clerk and John Reger was recommended to the governor for appointment as county sheriff. Stewart Bennett was chosen commissioner of revenue. See also Pages in Time – Downtown Historic District. Brooks, Morgan M. 1934. Pioneer Settlers of the Buckhannon Valley. Master’s Thesis. West Virginia Wesleyan College. Buckhannon, West Virginia. Cutright, William Bernard. 1977. The History of Upshur County, West Virginia: From its Earliest Exploration and Settlement to the Present Time. Parsons, West Virginia: McClain Printing Company (orig. pub. 1907). Gilchrist, Joy. 2003. “The Pringle Brothers and the Sycamore Tree.” Internet article. Accessed at: http://www.hackerscreek.com/pringle.htm. Hardesty, H. H. 1883. Hardesty’s Historical and Geographical Encyclopedia: Special History of the Virginias. NY: H. H. Hardesty and Company Publishers. Excerpt, “Upshur County, West Virginia.” Accessed on-line at: http://www.conjure.com/GENE/FARNS/hardesty.html. Site maintained by Rowan Fairgrove. Hornbeck, Betty. 1967. Upshur Brothers of the Blue and the Gray. Parsons, WV: McClain Printing Company. Phillips, Brad. 1984. The History of Atlas, West Virginia, and Vicinity: Upshur County, 1700s to 1984. Parsons, West Virginia: McClain Printing Company. Tenney, Noel, Editor. 1993. All About Upshur County: A Bibliography and Resource Guide tothe Published and Unpublished Materials About Upshur County, West Virginia. Buckhannon, West Virginia: Upshur County Historical Society. Author: Dr. Robert Jay Dilger, Director, Institute for Public Affairs and Professor of Political Science, West Virginia University.